The Redmi Note 5A was launched a few months ago but no one actually cares about it. 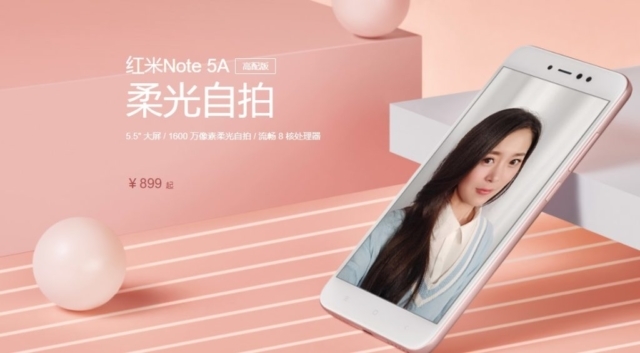 The Redmi Note 5 has been listed on JD.com, which may be a sign that we're set to get the mid-range killers in the coming weeks. Details of the device are unknown at the moment but we expect to see either the Snapdragon 630 or 636 on it, which would make for a delightful package, especially at the prices touted. The upcoming Redmi devices—the Redmi Note 5A phones don't count—have been a long time coming but it looks like we're finally set to receive them, as the Redmi Note 5 was listed on Chinese shopping platform JD.com earlier yesterday. The listing has since been taken down but it may be proof that launch may be imminent. The devices were actually touted to be released before the 11.11 shopping festival that took place a few days ago but that turned out to not be the case. Details are still sketchy—Xiaomi has been surprisingly quiet about its best-selling series this year—but we expect the Redmi Note 5 to sport 5.9-inch full-screen FHD+ displays. As established by previous generations, the device may come in two forms: one powered by a MediaTek processor at launch, and a Snapdragon-powered variant that will be released about a month later. For the MediaTek variant, the Helio P20/P25 are strong possibilities, while the Snapdragon 630/636 may be featured on the other side of the fence. Pricing details are elusive at the moment but word on the grapevine says that the most expensive version will cost about US$240.